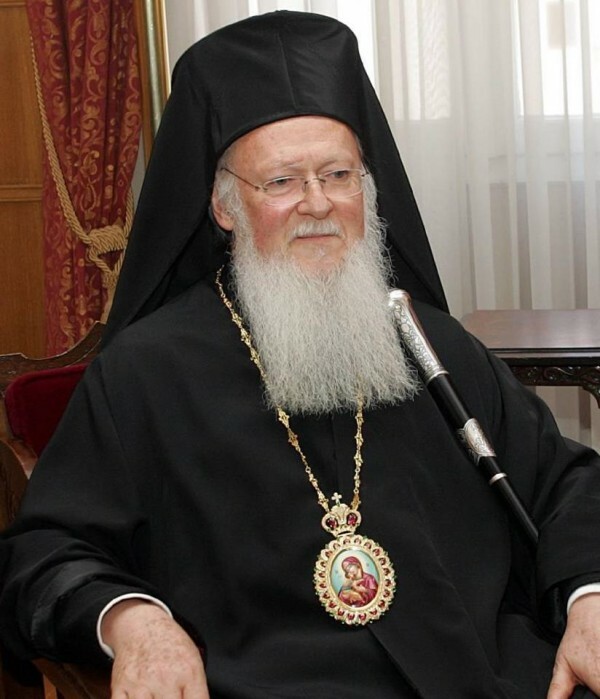 Greeting By His All-Holiness Ecumenical Patriarch Bartholomew On the Occasion of the 21st Anniversary of the Interparliamentary Assembly on Orthodoxy. On behalf of the Ecumenical Patriarchate, we would like to congratulate you on the occasion of the 21st anniversary of the Interparliamentary Assembly on Orthodoxy. We especially congratulate all of the young scholars and winners of the Interparliamentary Assembly on Orthodoxy International Scientific essay contest, and we look forward to the contributions these young people will make in the future. It is with joy that we deliver greetings to you from the Ecumenical Patriarchate, which is a symbol of unity and serves the Orthodox Church, promoting solidarity throughout the world for nearly two millennia. We thank God for each of you and your willingness to discuss the important subject of “Parliamentary Democracy – Christianity – Orthodoxy”. In reflecting upon the values of this topic in public life, the success of the twelve Apostles came to our mind, and we are humbled with the thought that from these twelve Apostles in the first century after Christ’s crucifixion, the Christian presence in the world has flourished now to over two billion Christians. This fact alone clearly demonstrates that Christianity has something to offer humanity. Of the two billion Christians in the world, 300 million are Orthodox – many of which are from the countries represented here. Εach Orthodox Patriarchate is able to trace their Christian heritage to one of the first twelve Apostles of Christ. In this part of the world, our Apostolic ancestor to some extent is St. Andrew, who was invited by Christ Himself to “come and see”. Embracing these tenets could change so much with what troubles our world today. If the people in Syria, who kidnapped the two Orthodox Bishops last year, had chosen to embrace their neighbors in love, then they would have overcome their hatred toward Christians, and love would have prevented the kidnapping. If there was love, Christians who have been hanged on crosses to die in recent weeks would not have been martyred. If those leading the Sudanese government could see a Christian mother with love, they would not have sentenced her to death for her beliefs. If those in Egypt could love their Coptic Christian neighbors, the murderous mobs would not be attacking fellow Egyptians, destroying lives and properties. If those who are in Nigeria could love those Muslim and Christian school girls as Christ loves us all, they would not have kidnapped the young women and forced them into marriages. If those in Iraq could love their neighbors, there would not be the tragedy of Muslims killing other Muslims. Unfortunately, the message of loving God and loving your neighbor has not been realized, and at least 60 nations are experiencing some level of persecution. Why are the ideals, values and concepts of parliamentary democracy unable to address the world’s problems effectively? Perhaps, it is because humanity cannot effectively outlaw the emotion of contempt, nor can it practically legislate love. It must come from within each person. As Orthodox Christians, we know that the directive given by Christ to love God and our neighbor will in essence provide the only sure way of overcoming the temptation to feel contempt for another person or group. These are our eternal values with which we govern our behavior. We choose to pursue love, for the call to tolerance is no longer enough. It is a great deception. The idea that tolerance is the answer to ethnic tensions and religious persecution is short sighted, for to merely tolerate one another is, in reality, a process of separating yourself from the other. Once we accept separation, we can become vulnerable to the emotion of contempt, and fall into the sin of contempt. As people develop contempt in their hearts for others, peace becomes an increasingly difficult aspiration. It is encouraging for us to recall the wisdom of the ancient Psalm: “Behold, how good and how pleasant it is for brethren to dwell together in unity!” The challenge for the delegates of this assembly is to create a new vision that will enable all to go forth and embrace the essence of brotherhood which exists in all of humanity. Love unifies people across all nations, and it is the foundation for a lasting peace. This is what prompted us to meet with His Holiness Pope Francis in Jerusalem recently on the 50th anniversary of the first meeting between Pope Paul VI and Patriarch Athenagoras I. In the Common Declaration made between us and Pope Francis at this meeting, there was a shared commitment to the principle of loving God and our neighbors, and living in peace with all the world. The outcome of those gestures of love in Jerusalem, and our mutual commitment to peace, prompted us to participate in an unprecedented assembly earlier this month, which was organized in order to pray for peace in the Middle East. At the request of His Holiness Pope Francis, we jointly met and prayed alongside him, Israeli President Shimon Peres and Palestinian leader Mahmoud Abbas in Rome on the 8th of June. It is our hope that a new journey to peace can begin, considering that the peace talks were not successful earlier this spring. This convocation demonstrates that loving God and our neighbors is possible when we commit to reaching out in a spirit of dialogue and love to those who are different from us. There is also evidence of this same kind of love found in the discussions of the Synaxis of the Primates of the Orthodox Church last March at the Phanar, where all have agreed to join together for the Great and Holy Council, the Pan-Orthodox Council to be held in 2016. In closing, let us think about these miraculous things. Governments, rulers, and philosophers come and go, but Christ is eternal. When love becomes the core concept and highest value of parliamentary democracies, it will guide a flawed and fallen humanity away from the emotion of contempt and toward peace. As it is written in the first letter of St. Paul to the Corinthians (1 Cor. 13:13), We pray for faith, hope and love to abide – love, of course being the greatest of these three.